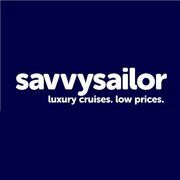 Savvy Sailor are the luxury river and ocean cruise specialists. Providers of over 300 Scenic and APT cruises they are the leading the industry in customer service and guarantee the lowest prices. We have over 40 years of combined travel industry expertise so you can book with guaranteed peace of mind from our expert team. That’s why we are proud to be Australia’s trusted name in luxury cruise deals.